Bookish rambles from a Cajun girl who loves getting lost in a world of pages. 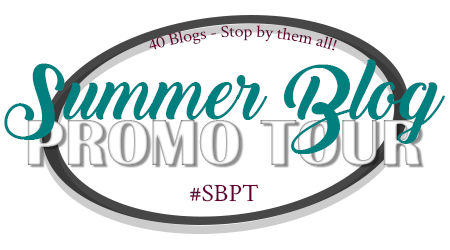 The Book Blogger Hop is hosted by Coffee Addicted Writer. 1. Post on your blog answering the question of the week! 2. Enter the link to your post in the linky for that week's link up! You can find the link up for this week right here! 3. Visit other blogs in the list and comment on their posts. Try to spend some time on the blogs reading other posts and possible become a new follower. The purpose of the hop is to give bloggers a chance to follow other blogs, learn about new books, befriend other bloggers, and receive new followers to your own blog. Do you read and review books mainly for publishers or authors? Since I am just starting out, I have to say no to this one. I use NetGalley for now, and I figure once I am around for awhile and get established with a good following and social media presence, that I would be able to start reviewing for authors personally and things of that nature. I have seen Blog Tours around that I think I might try out, but I am not sure as of yet. Right now I am just reading and reviewing at my own pace! Mostly, I read for me. I like being able to just grab a book that looks good and dive into it! Did you do the weekly blog hop? Do you read mostly for fun? I'd love to hear your thoughts in the comments! Isn't NetGalley addictive? I get in so much trouble there! I actually prefer to read books from the publisher than the author because it feels like there is a bit more pressure for me to like it if the book comes from the author. Welcome to Book Blogger Hop! It is addicting! & I understand completely! I would feel like they would get upset if I didn't like it as much as they thought I should have! Netgalley is highly addictive. Thanks for following and I'm following back. Welcome to blogging and the Book Blogger Hop. Good to read and review at your own pace. Try some of the tours to start...good thinking. Thanks for sharing what you do. When I first started out, I was reading and reviewing only for myself, too. Later on, I decided to start hosting blog tours, as I figured doing so would get me more traffic, not to mention free books! Lol. Then I started getting emails from Indie authors or their agents. It all began to get a little overwhelming....Now I'm trying to get back to reading & reviewing more for myself, although I'm still doing blog tours. I would suggest that, if you want to try participating in blog tours, just ease into it. If you find out you don't like them, you can always stop hosting them. They can be fun, though, especially when giveaways are involved! Thanks for the comment on my BBH post, as well as for following my blog with GFC!! Also, thanks for the Goodreads friend request!! I've already accepted, and am following your blog back with GFC as well. When I first started blogging, I used NetGalley a lot, but now most of my books I get from publishers or publicists, but occasionally I get a review request from an author directly, especially an indie author. Those can be fun, and I love helping indie authors when I can. I got burned out a while back though and took a long break from blogging because I felt like I was being pushed for time and not able to read the books that I wanted to read. So now my goal is to balance out my requests with the books that I pick up myself and not pressure myself to do every request that comes through my inbox. NetGalley is def good to start with. I have 3 novels from there right now. I noticed there are TONS on there, but I did not want to go to overboard.. I would rather grab a few, read them and then get the reviews up and posted before getting more. The last thing I want to do is get burned out on reading! Share book reviews and ratings with Peyton, and even join a book club on Goodreads. If this sounds like something you would be interested in - Please visit THIS PAGE! Enter the Giveaways - HERE!